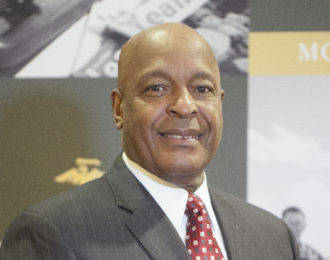 Jay S. Holmes joined the Board in 2012 and currently serves as the Vice Chairman. He also serves on the Executive Committee. 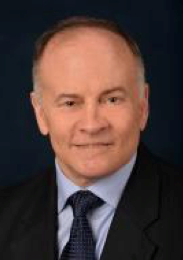 He previously served as the Chairman of the Audit and Investment committee. 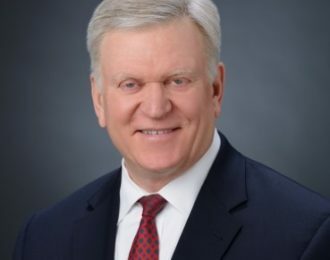 An accomplished business executive for nearly 40 years, Mr. Holmes spent the last six years of his career serving as Chairman, President and Chief Executive Officer of a multi-billion-dollar commercial finance institution. 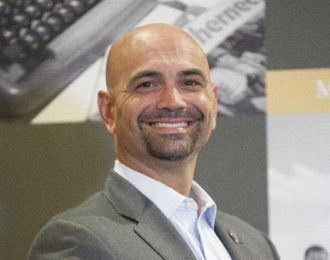 Jon Gallinetti is a Vice President in the Government Business/Defense Relations division at Rolls-Royce North America as well as head of J.A. Gallinetti & Associates. In July 2007, he completed a 35-year career in the United States Marine Corps. 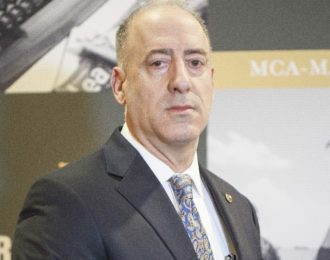 His military positions included Deputy Commander of Marine Forces Command, Chief of Staff of Multi-National Force-Iraq, and Commander of Marine Corps Air Bases Western Area and Commanding General MCAS Miramar. 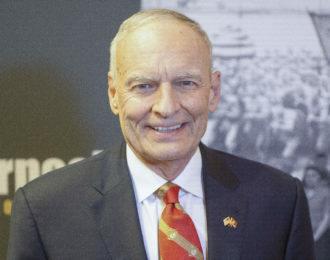 His awards include the Navy Distinguished Service Medal, Defense Superior Service Medal with one gold star, Legion of Merit, and the Bronze Star Medal. 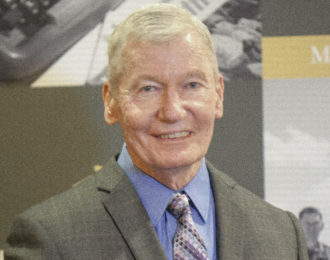 He accumulated over 5,000 accident-free flight hours during his career flying several types of tactical jet aircraft to include, the A-4, A-7, F-5, F/A-18, AV-8B, EA-6B and C-35, as well as several rotary-winged aircraft. Wendy Garrity has over 25 years operational experience across a broad spectrum of roles and responsibilities in the military, as well as in the information technology/cyber security, and manufacturing sectors. She currently serves as a cyber security consultant (manufacturing) for Agilitech Solutions, LLC. She assists small to medium manufacturing companies assess compliance with NIST 800-171 standards to maintain and/or gain government contracts. She also works for Disaster Resource Group as a Logistics Site Lead. In this capacity, she manages and operates large turnkey base camps for 200-1500 personnel during natural disasters. She was recently deployed to support recovery efforts for Hurricanes Florence and Michael. Prior to her current roles, Wendy was the Vice President for Manufacturing Support at Turbine Technologies. 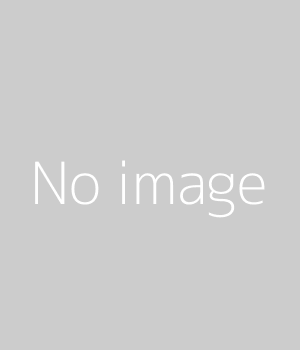 In this position, she was responsible for managing Information Technology and Security, Business Intelligence and Analytics, Customer Relations, and Human Resources for the company. Wendy joined Turbine Technologies in June 2017 after serving 22 years in the U.S. Marine Corps (USMC) where she retired as a Lieutenant Colonel. While in the Marine Corps, she commanded at every level which culminated as the Commanding Officer of Marine Wing Communications Squadron 38. She also served in several executive staff positions focusing on support to Joint and Marine Corps operations, communications and intelligence. 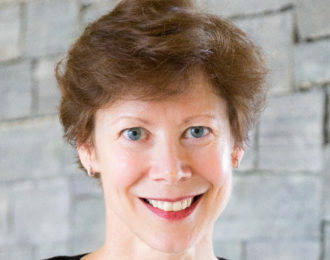 Her last assignments in the USMC were the Current Operations Officer to Marine Forces Cyberspace Command and the Marine Corps Liaison Officer to the National Security Agency. 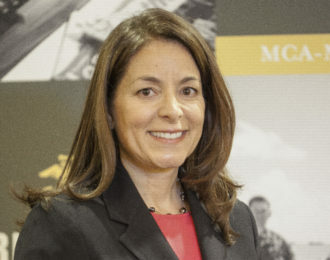 Additionally, she led the operational planning team that developed the overarching strategy for how the Marine Corps would effectively leverage and integrate operations in the cyberspace domain. She completed three deployments in support of Operations Iraqi and Enduring Freedom, as well as a deployment to Haiti for earthquake relief efforts in support of Operation Restore Hope. Wendy holds a BA in Criminal Justice from Norwich University, a MA in National Security and Strategic Studies from the Naval War College and she was a National Security Fellow for the John F. Kennedy School of Government at Harvard University. Wendy and her husband Steve reside in Greenville, South Carolina. William Costantini graduated from the Naval Academy and was commissioned in 1985. He served in three different infantry battalions, and commanded 1st Light Armored Reconnaissance Battalion and Weapons Training Battalion, MCB Quantico. He retired from active duty in 2013 as the Military Assistant to the Assistant Commandant. Will and his wife Carrie reside in Jacksonville, Florida, and have three adult children. 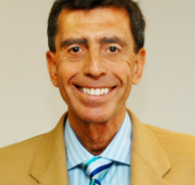 Brian T. Grana is a Project Manager with the construction firm, HMT Electric Incorporated. Brian joined HMT after nearly 25-years of military service. While in the Corps he earned operational experience across all three Marine Expeditionary Forces and commanded at every level, which culminated as the Commanding Officer of the award winning “Aces” of Marine Wing Support Squadron 373. He also served in myriad executive staff and joint billets supporting global operations. 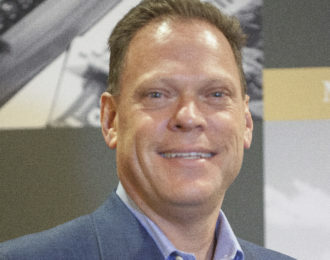 Brian is a 1996 Graduate of the United States Naval Academy, receiving a Bachelor of Science in Political Science and earning a Varsity Letter as a four-year member of the Football Team. He is a 2002 Graduate of the Naval Postgraduate School, receiving a Masters of Science in Management; Government Acquisitions and Contracting. He is a member of the Department of the Navy Defense Acquisition Corps. Further, Brian is a 2010 Distinguished Graduate of the Marine Corps Command & Staff College, receiving a Master of Military Studies. During this time, he was also presented with the Colonel Franklin Brooke Nihart Award for the top thesis, and selected runner-up for the Office-of-the-Secretary of Defense writing competition. 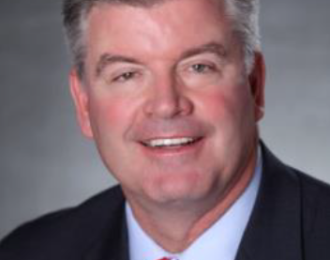 Along with serving on the Marine Corps Association’s Board of Governors, Brian is a Trustee in the Athletic and Scholarship Programs division of the United States Naval Academy Foundation. 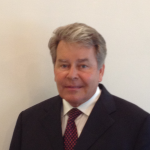 He is very active in mentoring youth and supporting transitioning military veterans. Brian is the proud father of two Boy Scouts, Jacob and Lucas, who all reside in San Diego, California. Sergeant Major Alford L. McMichael was born in Hot Springs, Arkansas. He enlisted in the Marine Corps on 27 August 1970 and attended boot camp at Marine Corps Recruit Depot San Diego, California. 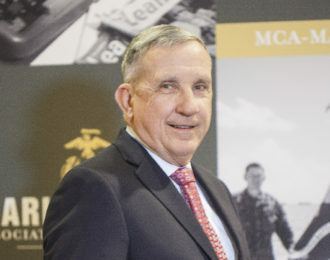 In June 1971, after completing Infantry Training School and Basic Infantry Training at Camp Pendleton, California, SgtMaj McMichael was assigned to Marine Barracks, Pearl Harbor, Hawaii. In May 1973, he was transferred to 2d Battalion, 5th Marines, 1st Marine Division, Camp Pendleton. 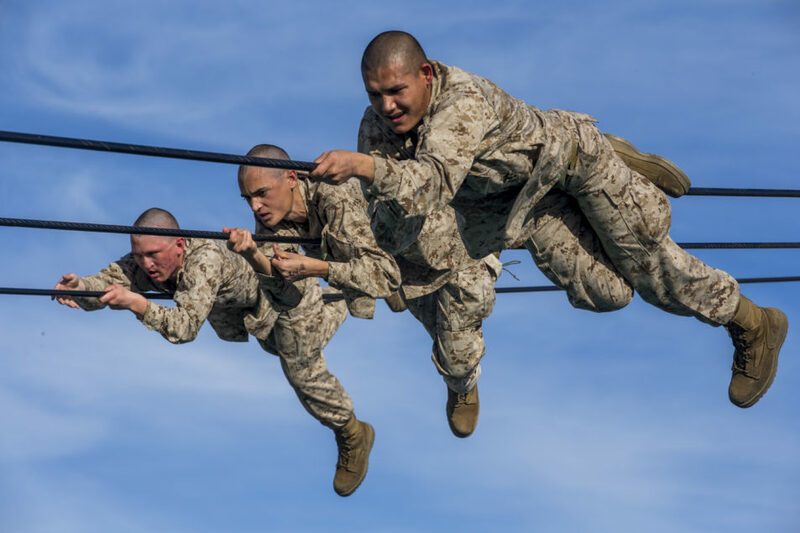 In December 1973, SgtMaj McMichael returned to Marine Corps Recruit Depot San Diego where he served as a drill instructor, series gunnery sergeant, and battalion drill master. In December 1975, he was transferred to 1st Battalion, 7th Marines, 1st Marine Division, Camp Pendleton. In January 1978, SgtMaj McMichael transferred to the 3d Marine Division where he served as a shore party chief with the 3d Division Support Group. In January 1979, SgtMaj McMichael received orders to Marine Security Guard School and, upon completion of the school, was assigned to the American Embassy in Copenhagen, Denmark. In May 1981, he returned to Quantico, Virginia to serve as an instructor for the Marine Security Guard School. 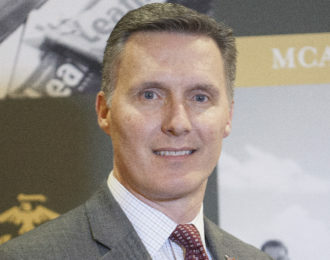 In May 1983, SgtMaj McMichael was assigned to the University of Minnesota where he served as the Assistant Marine Officer Instructor for the NROTC Program. In December 1984, after completing the Staff Noncommissioned Officers Academy Advanced Course, SgtMaj McMichael was transferred to Okinawa, Japan, to serve as the first sergeant of Company C, 3d Reconnaissance Battalion. In January 1986, he was ordered to Marine Barracks, Roosevelt Roads, Puerto Rico, to serve as the barracks’ first sergeant. 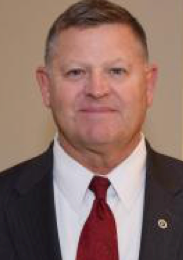 Sergeant Major McMichael served as the director of the Staff Noncommissioned Officers Academy, Marine Corps Air Station El Toro, California, from May 1989 to May 1991 after having served as the school’s deputy director since August 1988. 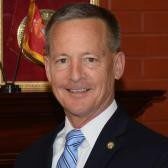 In May 1991, SgtMaj McMichael was transferred to Quantico, where he served as the Sergeant Major of Officer Candidates School. In June 1994, SgtMaj McMichael returned to Okinawa, where he served as the Sergeant Major of the 31st Marine Expeditionary Unit until July 1995 when he was reassigned as the Sergeant Major of the 1st Marine Aircraft Wing. 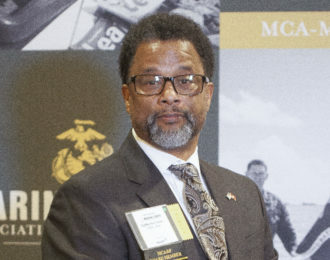 From January 1997 to June 1999, SgtMaj McMichael served as the Sergeant Major for Manpower and Reserve Affairs Division, Headquarters, U. S. Marine Corps. Sergeant Major McMichael assumed his post as the 14th Sergeant Major of the Marine Corps on July 1, 1999. He left the position on 26 June 2003 to become a senior enlisted advisor to NATO, a newly created post. He retired from the Marine Corps in October 2006. Sergeant Major McMichael’s personal decorations include the Navy Distinguished Service Medal, Legion of Merit, Meritorious Service Medal with gold star, the Navy and Marine Corps Commendation Medal with gold star, and the Navy and Marine Corps Achievement Medal with gold star. Sergeant Major Davis was born in Hahn Air Force Base, West Germany on January 07, 1963. In June 1981, he graduated from Palm Bay High School, Palm Bay Florida. In October 1981, he reported to MCRD, Parris Island, where he underwent recruit training. In January 1982, PFC Davis reported to The United States Army Air Defense School, Fort Bliss, Texas for REDEYE/STINGER Gunner Operator’s Course. Upon graduating in April 1982, he reported to 2nd Forward Area Air Defense Ba ttery (2d FAAD Btry) Cherry Point North Carolina, where subsequently picked up LCPL and CPL, completing numerous deployments and exercises i.e., Providing air defense cover for the MAU Hdqtrs at the Airport in Beirut and Ships deployed in the Persian Gulf. In August 1984, Cpl Davis reported to 3rd Forward Are a Air Defense Btry (3rd FAAD Btry) Futenma, Okinawa, where he picked up Sergeant (meritoriously) and was sUbsequently assigned t o Marine Security Guard School, Quantico, Virginia. In January 1986, Sgt Davis reported to American Embassy, Beirut Lebanon and served there until March 1987, when he was reassigned to American Embassy, Madrid Spain. It was there he was promoted meritoriously to the rank of Staff Sergeant and returned to Marine Security Guard School for further training, as a Detachment Commander. After graduating Honor man, SSgt Davis was assigned as the Detachment Commander, American Consulate General, Calcutta, India, where he served until March 1990. After successful compl etion of MSG Duty, SSGT Davis was assigned to 3rd Low Altitude Air Defense Battalion , 3rd (LAAD En) Camp Pendleton, Ca. and in Aug 1990, participated in Operations Desert Shie l d/Storm . Returning to the States i n April 1991, SSgt Davis was promoted to the rank of Gunnery Sergeant and received orders to MCAS Futenma, Okinawa, where he was assigned as the Station Property Control Officer . Upon completion of this tour, he then returned to 2nd Low Altitude Air Defense Battalion, (2d LAAD Bn) Cherry Point, North Carolina, where he served as the Moving Target Simulator, SNCOIC and Operations Chief for Bravo Btry. I n 1996, having been selected f o r First Sergeant, he was transferred to 8th Motor Transport Battalion, 2nd FSSG, Camp Lejuene , North Carolina and assigned Bravo Co. He was assigned as t he 1stSgt for Combat Service Support Detachment 28, (CSSD 28) i n support of CAX 9/10. In Dec 1997, he reported to Combat Service Support Detachment 21, (CSSD 21) MCAS, Cherry Point North Carolina as the Detachment IstSgt. Upon his selection to SgtMaj in February 2000, SgtMaj Davis received orders to 2nd Battalion, 5th Marines . He deployed i n Jul 2001, as the Sergeant Major for the Ground Combat Element, for the 31st MEU and conducted Humanitarian assistance for the people of East Timor, post Sept. 11. In Feb 2002, he deployed with 2d Battalion, 5th Marines to Kuwait, as part of the Coalition Forces to free the I raqi people. SgtMaj Davis was assigned as the Battalion Sergeant Major for Marine Corps Security Forces Battalion from June 2004 to May 2006. From June 2006 to Jul 2008, SgtMaj Davis was assigned as the Sergeant Major, 4th Marine Logistics Group, New Orleans , LA. Currently assigned as the Marine Forces Reserve SgtMaj. A 2005 KEYSTONE FELLOW graduate. SgtMaj Davis’ personal awards include the Meritorious Service Medal , (wi t h 2 gold stars) the Navy Commendation Medal (with 3 gold stars) with Combat Distinguishing Device, the Navy Achievement Medal (withl gold star) and the Combat Action Ribbon (with 2 gold stars.) He has one daughter, Lauren (9 yrs old).